Welcome Home! 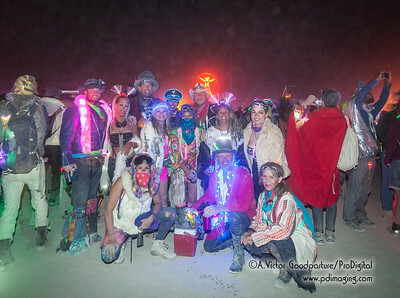 This gallery is my last night (Saturday Sept. 3, 2016) and early Sunday morning of Burning Man. These photos are for personal use only. If I took your photo, I will include it in the gallery of the day I took the image. Feel free to pass this link to your friends and other attendees. For information rgarding licensing or for hiring me for your photography assignment, please call or email. Thank you. Comments are welcome! See you all next year!! 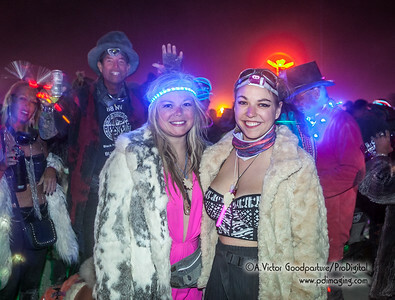 For anyone who hasn't gone but is even mildly interested in Burning Man, all I can say is, "Yes, it's worth the effort to go" and "Yes, you will find it a truly magical, enlightening and awesome experience." 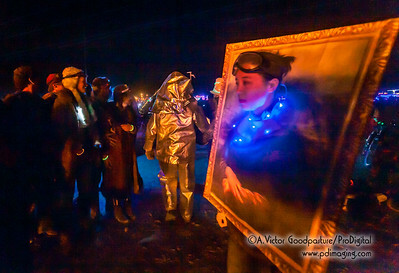 The last night at Burning Man. Our camp biked and parked near Ursa Major under a wickedly blowing dust storm. The carnival atmosphere was nothing I've ever witnessed before. 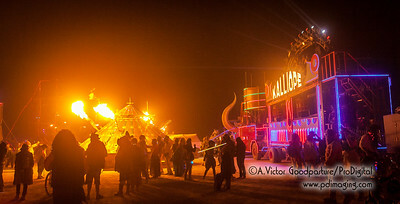 The lights, sounds, music, people, commotion, fire, propane flames and general revelry engulfed my senses—and all the while a cold wind is blowing the very fine dust everywhere. In a word: Surreal. Our camp: The Temple of Anointment. The camera flash illuminates all the particulate matter that we're unknowlingly breathing in. A lifesize dragon blows flames as burners get ready to the The Man go up in fireworks and flames. The crowd watches as the fire continues, waiting for the signal that it's safe to appoach the burning pile. The crowd is now moving toward the fiery pile after fire officals deem it safe. 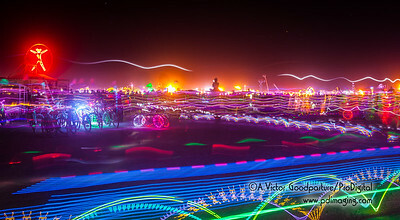 In the background is the mass of art cars that surround the entire burn. 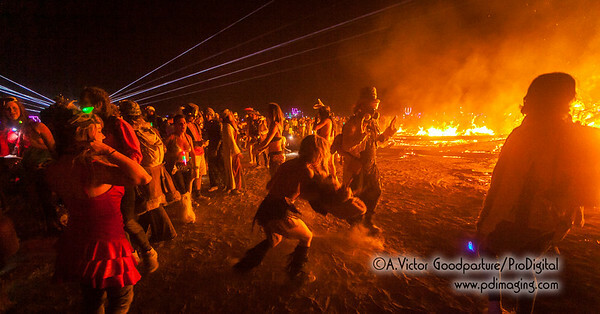 The fiery pile that 1 hour earlier was a huge wooden structure that held up The Man. 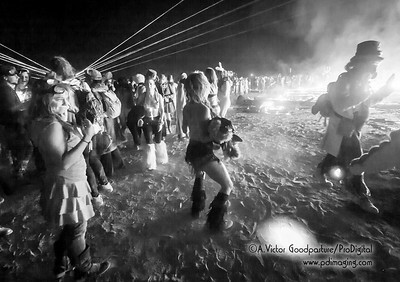 With the fire still burning, burners approach in costume and various stages of undress to celebrate and party. The Black Rock Lighthosue Service just minutes before burning.